Blue Sky Pretty Cheap Project Bags! Blue Sky Pretty Cheep Project Bags! 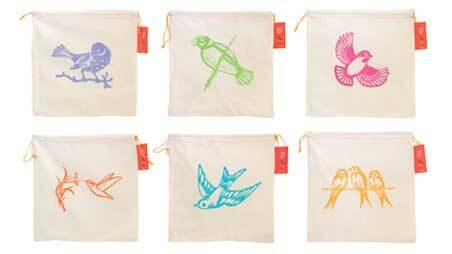 These fabulous project bags are something to tweet home about! From Blue Sky comes a handy, natural organic cotton drawstring bag that makes it easy to take your projects along - cheep they may be - but fabulous they still are! Discounts will apply at checkout. 100% Cotton Muslin Bags, 12" square with a drawstring closure. Spud Totes & Pencil Cases!